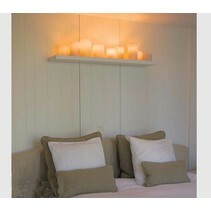 If you opt for modest lighting, you will soon end up with wall lamps. 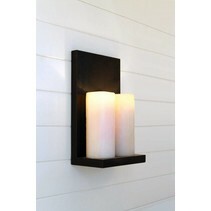 Wall lamps are almost never used as main lighting. You can use a hanging lamp or a floor lamp for this. Wall lamps are used when you are sitting in front of the TV in the evening, receive a visit or just want to have a modest light while you are away. You always have lighting, but you are not very annoying in full light. As modest as the lighting of wall lamps is, it is striking that wall lamps can be correct during the day, if you choose a special one. If you want to have objects on your wall that should be an eye-catcher in your living room, then you have a wide choice of special wall lamps. 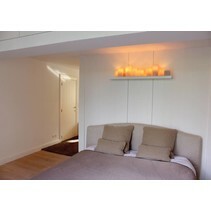 For example wall lamps in chrome. Chrome is a type of metal that has the characteristic that it is shiny and silver-colored. It was discovered in Russia in the 18th century. We know chrome because of the silver color, but chrome has a wide variety of different colors. For years, chromium has been used as a component in paint. 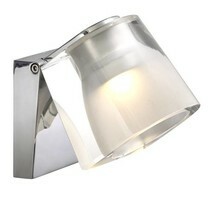 Later it was discovered that chromium could also be used as an alloy to cover objects, including wall lamps in chrome. The most important properties of chromium are that it is extremely strong and resistant to corrosion. Real chrome is no longer used today, which is why chromium wall lamps are actually chromed. Because chrome is so strong, you can also take outside wall lamps in chrome. It will be able to withstand the weather. Indoors, chrome wall lamps will give a very special look. 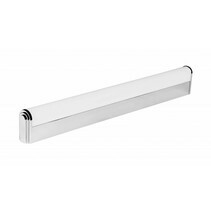 Many people think that a chromed wall lamp may not fit with their interior. But this is unjustified. Wall lamps in chrome give your interior a rich and luxurious look. You will certainly be surprised how well chrome wall lamps match your interior style. Chrome wall lights will give you a lot of fun. The shiny surface of chrome that sometimes scares people to opt for chrome wall lamps, ensures that you regularly take a look at it. When your wall lamps are turned on in chrome, the intensity of the glare of the light will be a striking element. 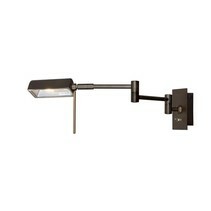 In addition, many chromium wall lamps are available that are combined with other materials. Chromium goes well with other metals, such as brushed steel or aluminum. You can therefore also choose to have chrome very subtly in your wall lamps. Why would you buy your chrome wall lights at My Planet LED? We are a service-oriented lighting shop and we deliver your order as well nationally as internationally. Our customers say we provide an excellent personalized service! The payment possibilities are versatile and secure! In addition, we are member of a quality mark which controlls if their members follow all the customer legislations. Do you hesitate about a glass wall light? No problem! You can use our 14 days return policy. This allows you to see if it fits well. And of course, you can count on the excellent service of My Planet LED. Unfortunately not all varieties of wall lamps in chrome are available at My Planet LED. We keep you informed of the status of your order. After receiving your payment, we treat your order. Once we receive the chrome wall lamp, we will inform you of the delivery. Do you have more questions? Do not hesitate to mail us (info@myplanetled.com) or by phone (+32) 57 466 866 in order to obtain more information about chrome wall lights.